Whether you're going for a coastal vibe, a mountain retreat, or anything in between, the Ashgrove 4 piece queen bedroom set at RC Willey is a versatile option you're sure to love. Classic silhouettes are durably constructed from rubberwood and Chinese elm veneers and is finished in a fresh, airy white that will easily mix and match with your existing décor. It's inviting, approachable, and timeless—a stylish triple threat that will breathe new life into your bedroom spaces. Includes headboard, footboard, rails, dresser, mirror, and nightstand. 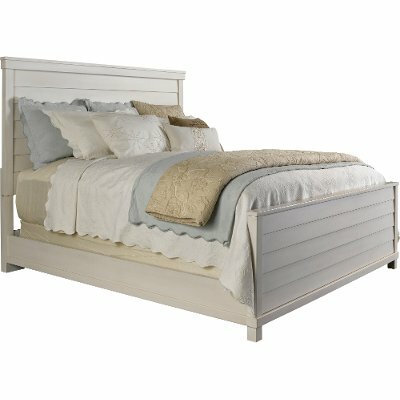 Now at RC Willey, the Ashgrove queen size bed is an effortless choice you're sure to love if you're going for a coastal vibe, a mountain retreat, or anything in between! Classic silhouettes are durably constructed from rubberwood and Chinese elm veneers and is finished in a fresh, airy white that will easily mix and match with your existing décor. It's inviting, approachable, and timeless—a stylish triple threat that will breathe new life into your bedroom spaces. Whether you're going for a coastal vibe, a mountain retreat, (or anything in between!) 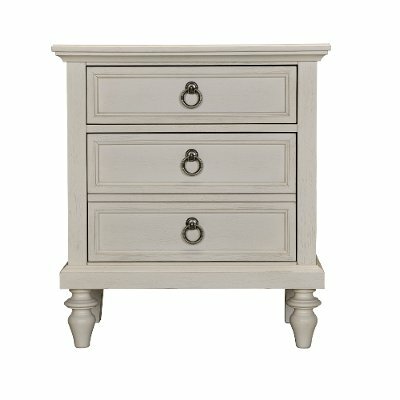 the Ashgrove nightstand at RC Willey is a versatile storage option you're sure to love! Its three drawers give you just the right amount of storage space for items you need to keep at hand at bedtime. Its classic silhouette is durably constructed from rubberwood and Chinese elm veneers and is finished in a fresh, airy white that will easily mix and match with your existing décor. Whether you're going for a coastal vibe, a mountain retreat, (or anything in between!) 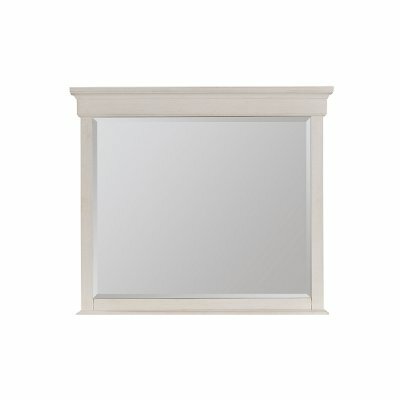 the Ashgrove mirror at RC Willey is a versatile storage option you're sure to love! Its classic silhouette is durably constructed from rubberwood and Chinese elm veneers and is finished in a fresh, airy white that will easily mix and match with your existing décor.